The BR Beer Scene: The 50 Best Beers In America! Just thought I'd share a link with everyone... the American Homebrewer's Association asked their readers (sure to be big time beer lovers, right?) to rank their 20 best beers, and put together all the results to declare their 50 best beers in America! 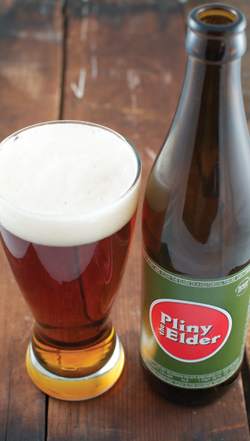 The full article and list is here... and the winner for the third time in a row was Pliny The Elder by Russian River. I tried it at a beer tasting at The Avenue Pub a while back and it is most certainly a tasty brew. Amazingly I've tried 39 out of these 52 (yeah, there were ties at the end) beers. Honestly I'm pretty proud of that considering our limited selection in Louisiana. As far as I can tell, only 14 of these 52 beers are distributed to Louisiana, and that is mostly the Stone and Sierra Nevada selections that really scored high. The same poll was also used to determine the 25 best breweries in America, with Dogfish Head coming out on top. Again Sierra Nevada and Stone placed high (both in the top 5) and they are the main ones that we can get here in Louisiana. Anyway... what do you think about the list? How many of the top 50... er... 52 have you tried? And more importantly, do you think you could hook me up with any of the ones I'm missing out on?